Ok hold on to that. 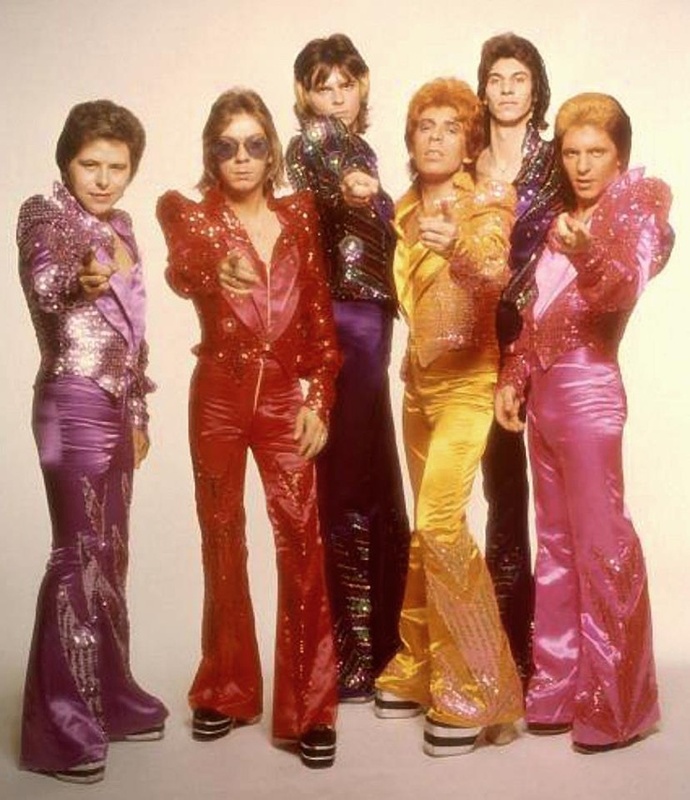 Now unless you’re the sort of smartarse who came up with the end of the Vietnam war or repeal of the corn laws or something I strongly suspect that that image is something that relates to the concept of Glam Rock possibly because I primed you with a great picture of the Glitter Band. But lets stick with the fantasy version. Glam Rock was the first music that was of its time rather than some half arsed hangover from the 1960’s. First out of the traps was Marc Bolan with ‘Ride a White Swan’, this is only of any significance in retrospect. Bolan has been peddling his stuff since the mid 60’s and if he had stopped at this point he would be a music footnote along with Terry Dactyl and the Dinosaurs. The Year is 1970. The next year cranked things up a notch with T Rex (Marc had dropped the Tyrannosaurus) with ‘Hot Love’ and then ‘Get it On’ and ‘Jeepster’. The Glam template was formed, a lot of noise, distorted guitar and what we would call ‘a good beat’ This year also saw the first sightings of Slade and The Sweet. In 72 it exploded, great stuff from Bolan,Slade, Bowie, Roxy Music Gary Glitter (yes I know he’s a very bad man but he existed). Elton John metamorphosed from sensitive singer song writer to glam icon which fooled most of us. Alice Cooper all the way from the USA also got in on the act with ‘School’s Out’. 72 was the year Exemplified for me by the best bit of Glam ever ‘All the Young Dudes’ by Mott the Hoople. From then on it was consolidation with Mud, Wizard Suzi Quatro,David Essex even Alvin Stardust. This was terrific fun if you were 13 years old, better still I suspect if you were female. Glam was likened to Beatlemania and in Leeds or Wolverhampton the Sweet or Slade were Gods for a couple of years. And so on, Roxy Music were the only band who hadn’t spotted a passing bandwagon and jumped on it as smartly as possible. This meant that most of the band’s weren’t really playing their first music of choice, in fact for some of the bands most notably the Sweet in their early days, their output was dictated by their producers such as Chin and Chapman or Mickey Most. As a consequence they tended to drift away from what had actually made them good. The Sweet wanted to be heavy, Slade wanted to be the Beatles, David Essex just wanted to be shite. The second problem was there was little respect from Glam. They were obviously ‘having a laugh’ and coming out of a six inch transistor radio they sounded fantastic for 3 minutes but that was their limitation. T Rex could sell Albums but America just wasn’t interested, after all. if you had Alice Cooper or Iggy and the Stooges there wasn’t a great need for Mud. 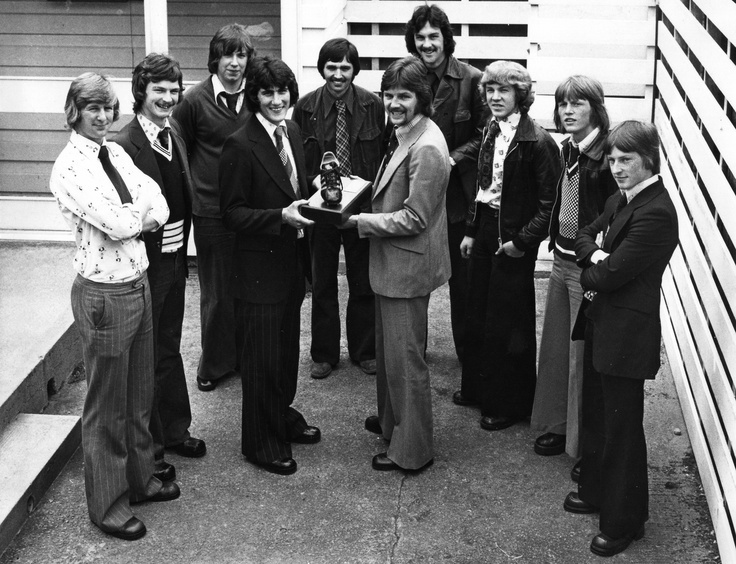 The music press at best tolerated the music but the 70’s still remained album orientated which meant rock music rather than pop music for the serious Grammar School music listener. In short it was a bit of a joke which has become more of a joke as the years progressed and as such it ran out of steam. For most Glam was not a long term career option. In fact the aftermath was anything but glamorous. Alcohol was the drug of choice and ended the lives of Brian Connolly of the Sweet and Les Gray from Mud, still touring the holiday camps up to the end. 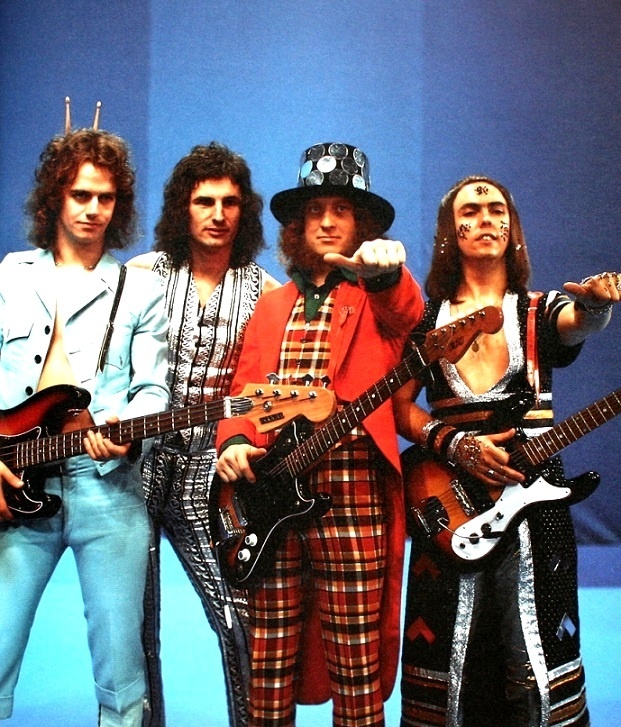 In fact at this very moment Dave Hill, perhaps the epitome of the Glam look is pulling on his extra small latex trousers prior to rocking Belgrade or Bucharest with the latest line up of Slade. Fame can be a cruel mistress. Marc Bolan of course died crashing a mini into a tree which is a fitting Glam Rock Death really. But hey, its only rock and roll. In my opinion Glam singles are up there with Motown, Northern Soul, Early Reggae, Stax or anything else that can put a smile on your face for 180 seconds. This entry was posted in memories of 70s, rock music and tagged 70's biography, 70's music, Britain, David Bowie, glam rock, marc bolan, Mud, pop music, rock music, slade, the sweet. Bookmark the permalink. Thanks for following The Immortal Jukebox. I hope you will enjoy the wide variety of music covered and some entertaining writing. I welcome comments from readers. I usually post on a weekly basis. Good luck with all your projects.. Thom.